Matthew L. Hinkle is a partner with the firm and concentrates his practice in litigation in both federal and state courts. His litigation practice involves the representation of clients in diverse areas of law including premises and general tort liability, motor vehicle accidents, labor and employment, civil rights, governmental defense, police liability, trucking accidents, real estate, and zoning disputes. He has defended numerous businesses, governmental entities, and their employees, including police officers confronting false arrest and excessive force claims, police action shootings, police pursuits, and jail condition claims. Matt has handled numerous labor and employment disputes, EPLI claims, including complex Title VII actions. The subject matter of these proceedings has included sexual harassment, race discrimination, ADA, FMLA, wrongful discharge, retaliation claims, wage and hour violations, covenants not to compete, and trade secrets. 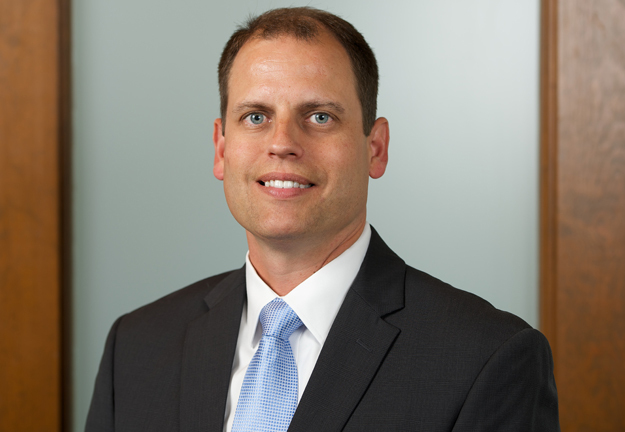 Matt has argued cases before the Indiana Supreme Court and Seventh Circuit Court of Appeals. Matt has lectured on a variety of litigation topics involving federal and state laws. Matt is primarily a defense attorney, but in the past has selectively handled personal injury and employment cases for individual clients. Since Matt is also a certified mediator his experience handling cases for clients on both sides of litigated claims provides him with a unique perspective that benefits all parties involved in alternative dispute resolution. Presentation on Indiana Tort Claims Act and public entity laws in Indiana - Insurance update (2006). Federal Abstention - Continuing Legal Education Seminar (2006). Discretionary immunity under the Indiana Tort Claims Act - Continuing Legal Education Seminar (2007). 42 U.S.C. 1983 and Police Pursuit after Scott v. Harris - Continuing Legal Education Seminar (2008). American with Disabilities Act- Amendment. Continuing Legal Education Seminar. Update following 2009 Amendments Act (2009). Presentation on Indiana Tort Claims Act and public entity laws in Indiana - Insurance education credits (2014). Indiana Case Law Update - Continuing Legal Education Seminar (2014). Workplace Discrimination & Sexual Harassment Program for Supervisor and Managers (2005-2014). Legal Update - Lack of Insurance Will Cost You More: Forfeiting Damages Under Indiana's No Pay No Play Law (June 26, 2015).